Want to become fit for that trek your friends are planning or to attain a summer body for the beach parties? Invest in the right kind of gear for a more comfortable workout session and keep yourself hydrated, suggest experts. * Keep on moving: To stay fit, the basic and the most important thing is to keep moving, even if that is just a walk along the beach or anywhere you like. If you try and fit it around your normal activities, it will not feel like a chore. Do try walking to the coffee shop in the morning, or if you are off to work as it all helps. This will help your body to get the endurance which is required to survive the heat of summer and get one step closer to getting the summer body. * Go run with perfect fitness gear: Whether you are a street runner with a serious need for speed or a backcountry runner ready to blaze a new trail, you will need a pair of shoes purpose-built to handle the challenge. To solve the purpose of your progress in getting the summer body, invest in performance gear which is lightweight and comes with M-Strike technology (Innovative placement which allows the impulse sensors to move together and independently) and ultra-cushioning and can be used on the treadmill, synthetic track and road for running. 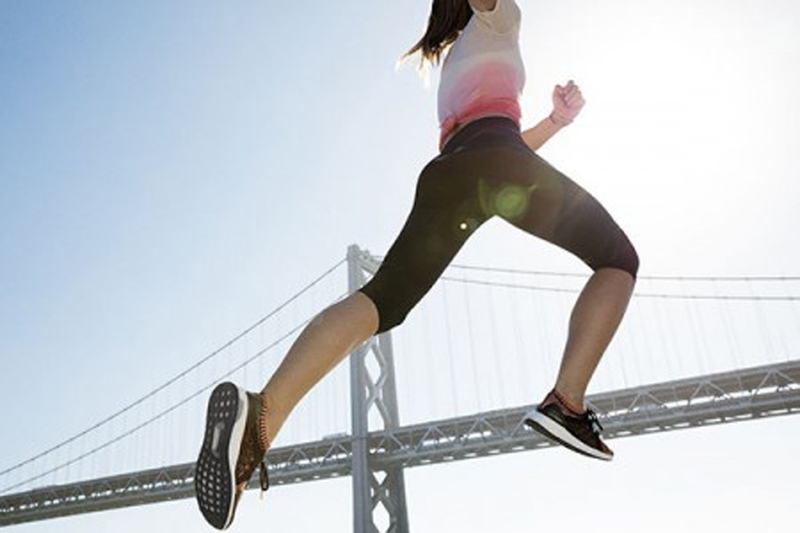 Lightweight performance shoes are the go-to pair of shoes which are not just best to increase your performance but are also trendy cool to carry outdoors or in your gymnasium. * Keep hydrated and take your exercise indoors: While working out and otherwise, drink water or other liquids at every possible interval or whenever your body demands for it. * Workout with some healthy protein intake: After a good workout, your body needs something healthy and nourishing. Fill up on a tall glass with a protein shake within 20-30 minutes of your workout to cool down. Certain protein options can also be made into energy bars or brownies to consume while on the go.